Sempervirens Fund is California's oldest land trust and the only organization dedicated exclusively to protecting the redwood forests of the Santa Cruz Mountains. Change your donation to a monthly "Redwood Ranger" gift. 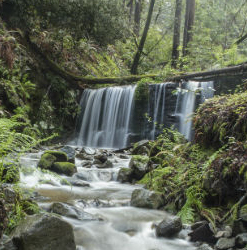 Your ongoing support will help us protect the redwood forests of the Santa Cruz Mountains. No thanks, I prefer to make a single gift. You're free to change or cancel your monthly gift at any time.